I'm so happy to finally be making this post! I've been working on this project for a few weeks! 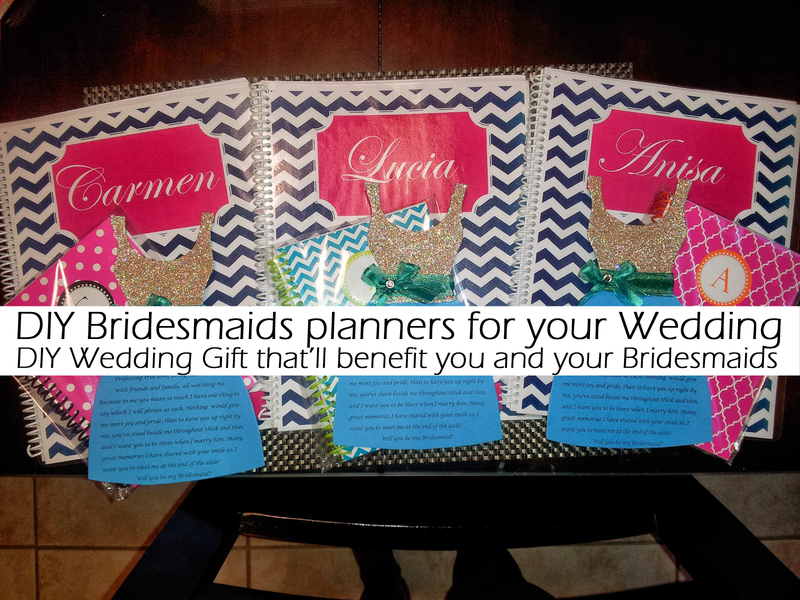 As one of my bridesmaids gift, I decided to make them their own custom planner with....OF COURSE all my wedding events already written in their planner. 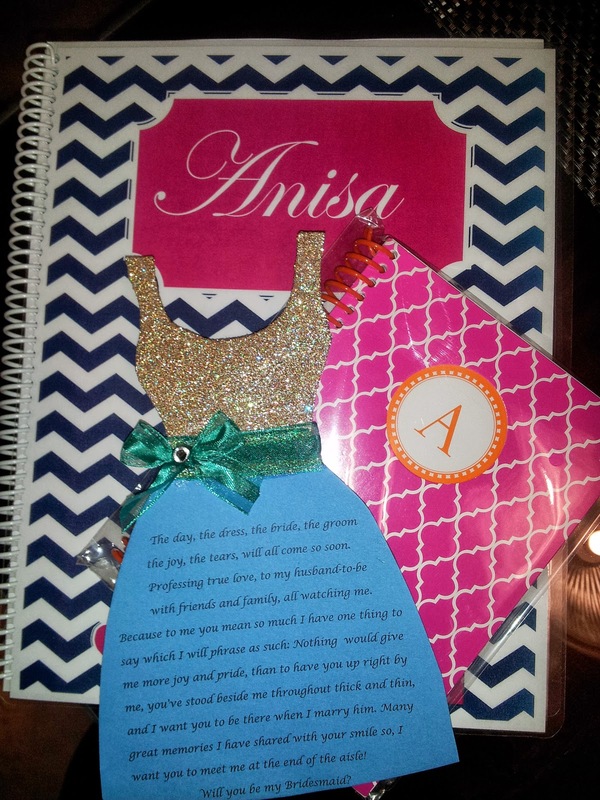 lol I was going to just buy them their own datebooks from Graphic Image, or Martha Stewart, but the whole point of being a DIY Bride is to Do It Yourself right?! Saving money is KEY! This planner will save you a boat load of money, not to mention it still gives that wow factor! I personally prefer something homemade, because it tells me, the person has really taken time out of their day to make something special for me. Win, Win, ladies, get on the DIY board, because this train is about to take off. So as I always do before I start any project, I did some research via google, pinterest, etc. anywhere I can get inspired. I saw a few planner trends, and then started thinking about what kind of design I could come up with for my ladies. (NOTE: This project can be for you, it doesn't have to be a gift...but it's a great cheap gift.) Before I start designing anything, my brain works in this weird way...I start envisioning all the designs I've seen, and start going crazy. Ask my fiance this process is very time consuming for me, because even though I'm not in front of a computer doing the hands on method, I'm just blankly sitting on the bed not paying attention to anything but the designs flashing around in my head. lol Poor Gil. 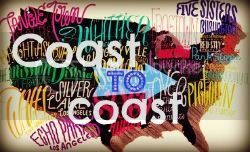 To make your cover, you'll need Microsoft Publisher/Adobe illustrator/Adobe InDesign. (whichever one you have and feel comfortable with. I didn't have the Adobe software until after I had already designed the covers, oh well.) You could use a photo editor, but when I tried that method, it didn't come out as nice. The design was blurry, and I just didn't feel like trying to fix it. I went to publisher, grabbed a blank 8x11 size page (perfect for printing) and started my design. 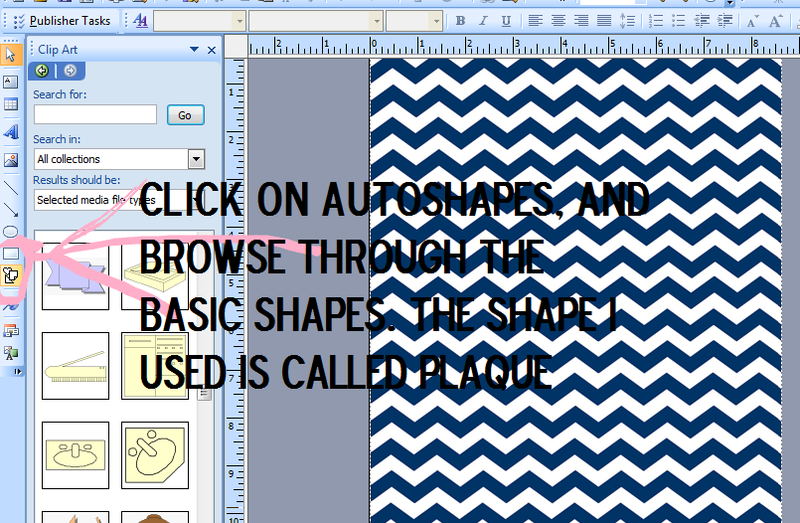 If you could guess, by my blog design, buttons, etc. 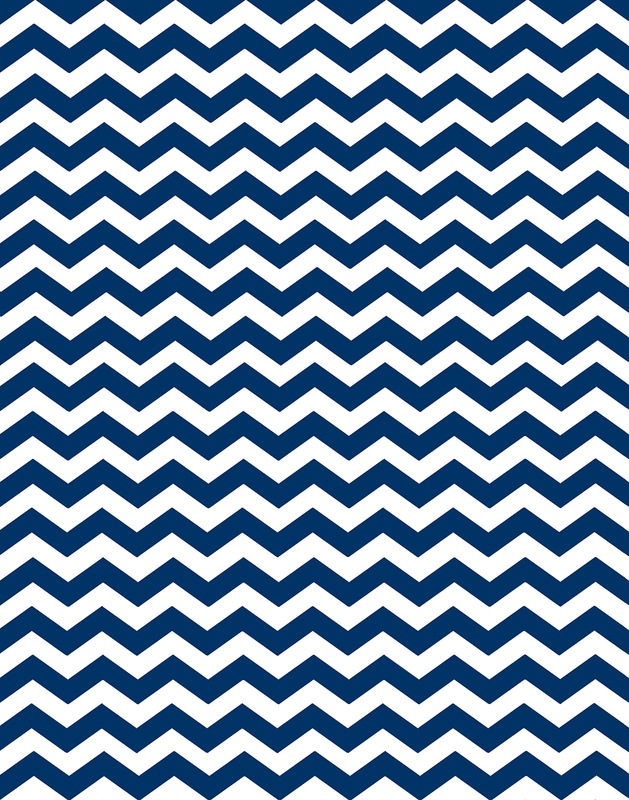 I love the Chevron pattern. lol Plus it's trending right now, which is a plus. 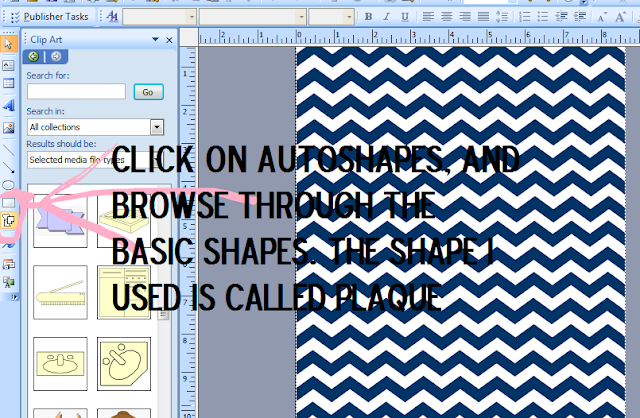 Below is the pattern I used.. To get it, just right click it and open it in another tab, save image as. 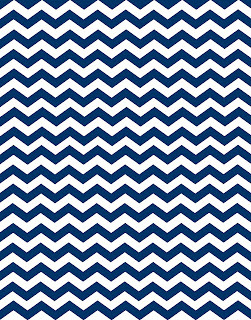 I decided to use this as my back cover as well. 1. Open Microsoft Publisher, and pick a blank page. You want the size 8.5x11. 2. 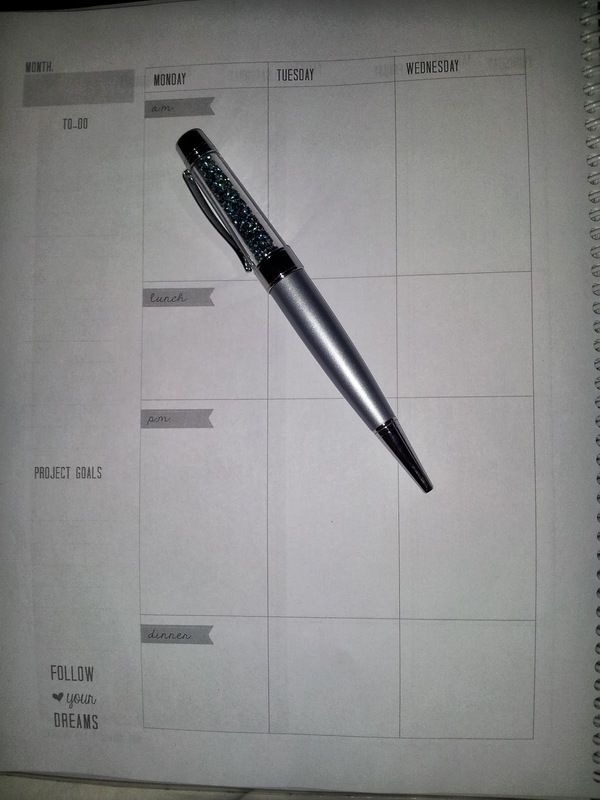 Immediately, after you pick the size of the blank page, you'll be directed to the project. 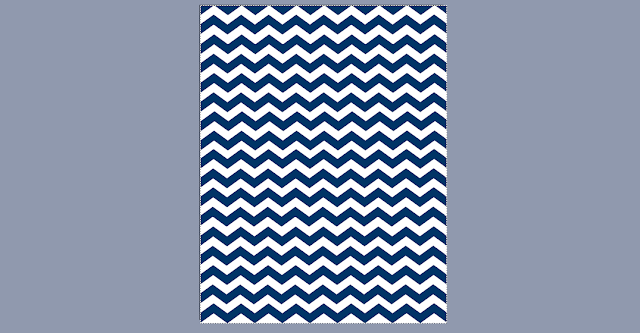 I went to the top and inserted a picture I had on file (that'll be your chevron, or whatever pattern you'd like). 3. I started stretching the picture out on all corners to fit the page perfectly. 4. This is how it should look once your done stretching it out completely. 5. Next, it's time to pick a shape. The shape is where you'll put your name, or initials, (whatever text you want on your planner) I was tempted to use a plain circle, but I wanted my planner to look fancy so I went with the shape plaque. To find the shape, their on the left hand side of the publisher window. 7. Right click the shape, and Format AutoShape. On the top, it'll say "no fill", you can fill the box to whatever color you would like. I picked pink because I liked the way the blue and pink go together. 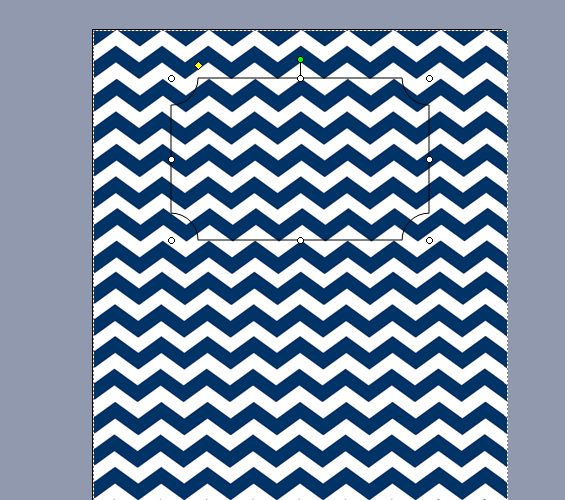 This is also where you would play around with the outline of the box too. 8. 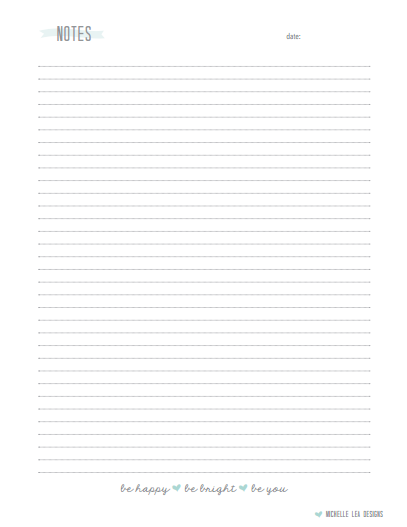 Insert a text box, the reason why I prefer inserting a text...is because you can have the freedom of moving it around. When you add text to the box, your restricted and can't move it around. 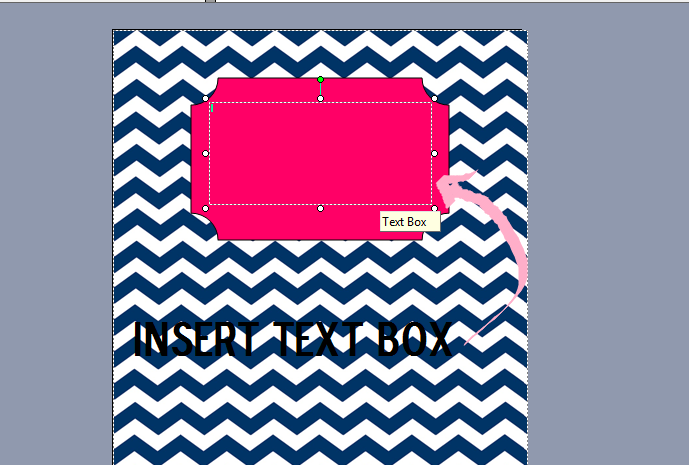 The first time I tried I added text to the box, and the letters weren't centered, and it drove me crazy. Inserting let me make the letters as big as I wanted, and as centered as I desired. 9. 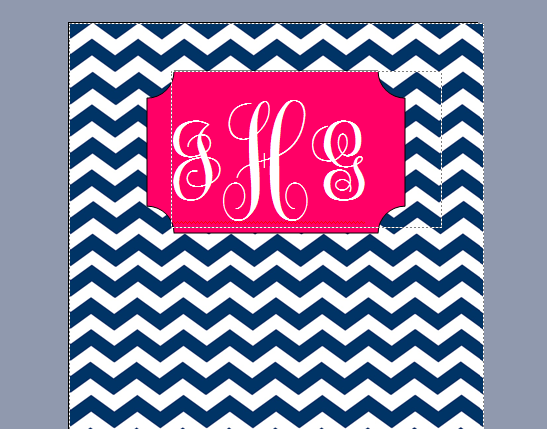 I choose the font Monogram KK, from dafont.com, because the whole Monogramming thing is trending right now, especially in the bridal community. You can find it HERE for free. 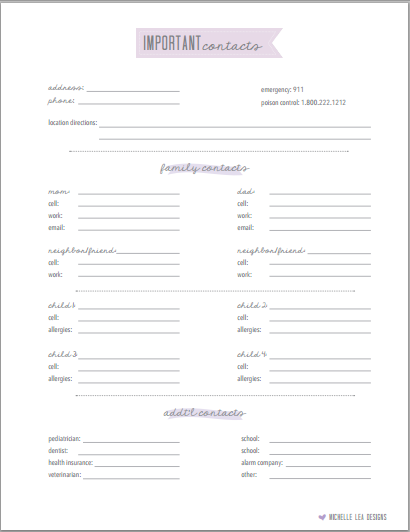 +If you don't know how to add a font...download the font. Go to your control panel, and find where your fonts are. Drag and drop the font in your computers font window. That should be it. Go to word, or publisher to find it. I wanted to do the initials because my ladies are going to be married too (except my little sister) so I wanted to keep them in mind on that design. I played around with their full names, but I preferred the initials. Below are my initials. JHG. When your typing them in using the monogram font, make sure your caps look is off. Caps lock off type J, caps lock on...H...caps lock off G. That makes the middle initial stand out, and bigger than the other two. I played around with it for a while, and manually making the middle letter big by re-sizing it wasn't working for me. Just made me a little frustrated. 10. I started playing around with the letters colors. I contemplated black or white letters. This is a preference part. Which ever you think stands out more, or looks better, etc. I I finally picked white! Hence image below. 11. I repeated step 5, and added more shapes. 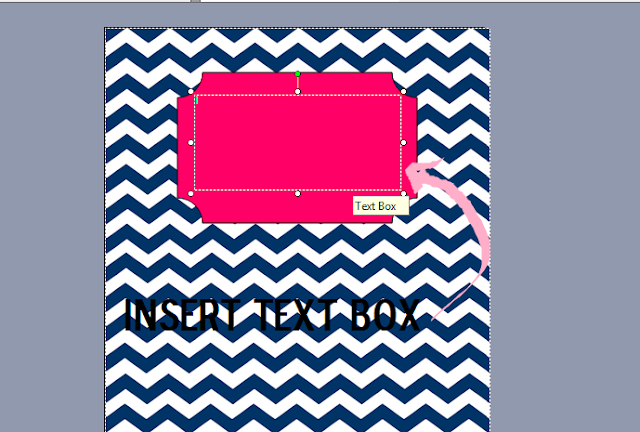 I added a rectangle, and a heart. 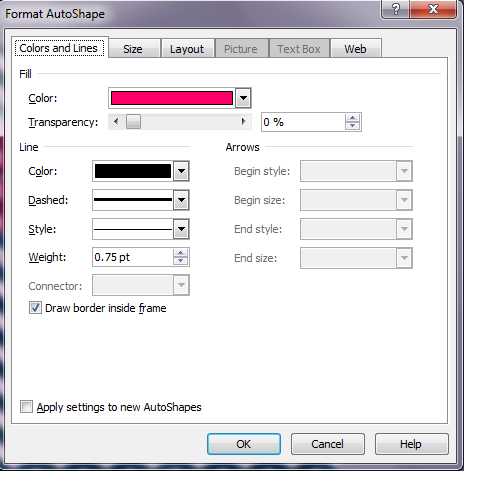 Then I repeated step 7, Format AutoShape. 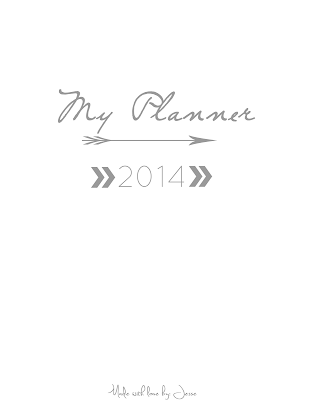 I decided on putting the year of the planner on the cover, and added a little heart to make it cute. This is my little sisters initials, I already had it done, and ready! +If you just want the same cover as mine download it. 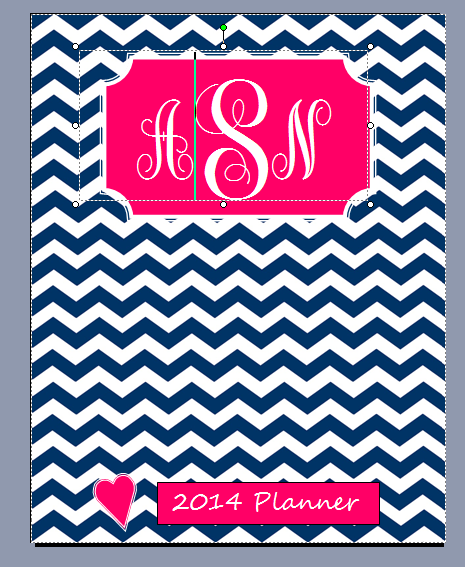 Here is the link to my cover of the planner cover. I used dropbox for this, but if you have any problems downloading it, just email me and I will try and send it in a attachment for you as soon as I can. So I did laminate the cover and the back of my planners, so it could last longer, and look better. 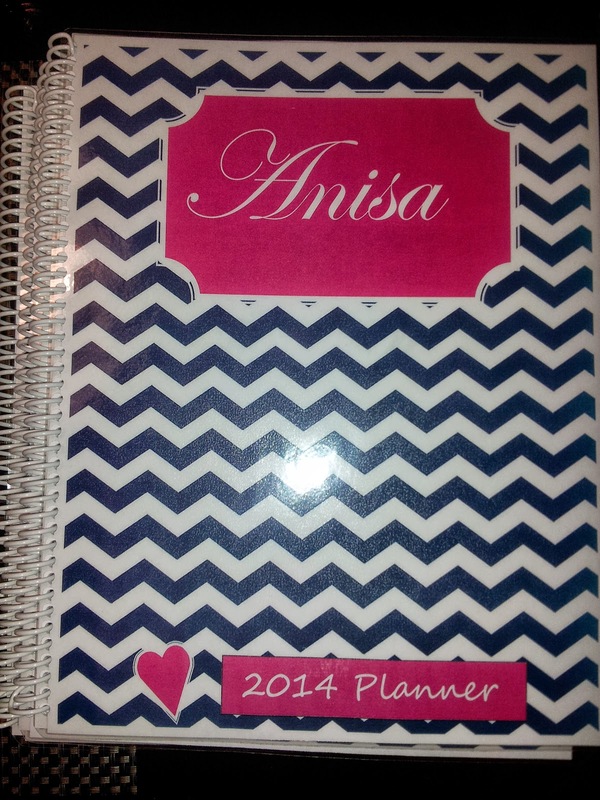 (NOTE: You might want to add a piece of card stock paper to this process to make the planner more sturdy. I didn't think of doing that until I had already laminated the covers.) I have a laminator at home, so I don't know how much it costs to get pages laminated. If you like to do crafts as much as I do, invest in one, because it's definitely a great tool to use in situations like this. I'm a teacher so a laminator at home is kind of a requirement...lol Gil bought me one off the internet for like $30 and it works great. It had a wide opening for 12 inch projects as well as smaller projects. The laminating pockets aren't that expensive if you buy them from BJ's Wholesale or if your a Sam's Club member I would recommend getting it from Sams! You get 100 pages for like $20.00 which is the cheapest I have found. I'm not a Sam's club member anymore so I get mine from BJ's, and it's $8.00 for 25 pages, or so. 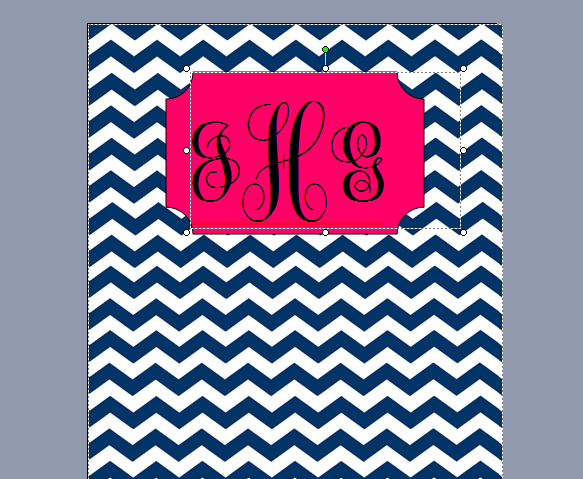 Disclosure: I originally did the Monogram, but since my Universities computers won't recognize my downloaded font of Monogram kk, I had to go ahead and do a Edwardian Font, and I just put my bridesmaids names in it, because I was tired of trying to mess with it. 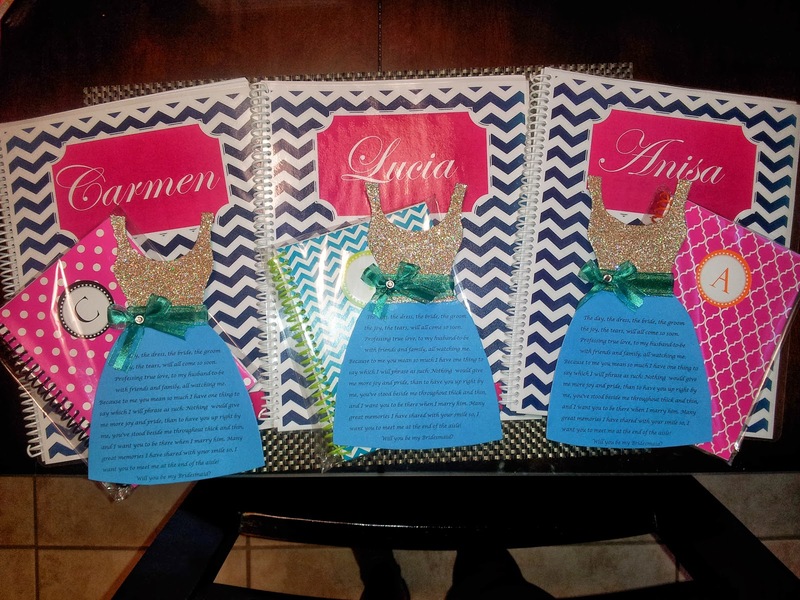 They still look good, so oh well bridesmaids...lol I did figure out that you could save this in your dropbox so that you could print the document without that problem. 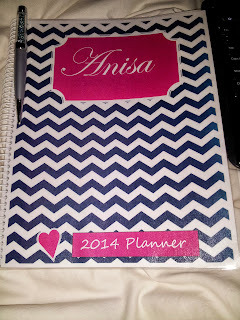 I was pretty much already over the whole making a planner ordeal, so I just kept it the way it was. Next I got to work ...searching for free printables planners. This part was time consuming, because everyone has their own preferences in terms of design. 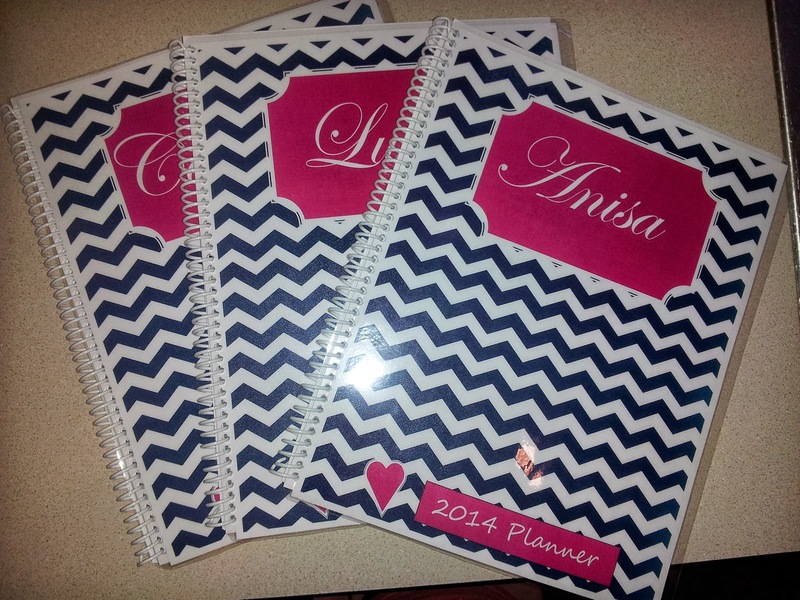 I want my ladies to have a good calendar, and weekly planner. Here's what I found, for the weekly planner. I need my weekly planner! 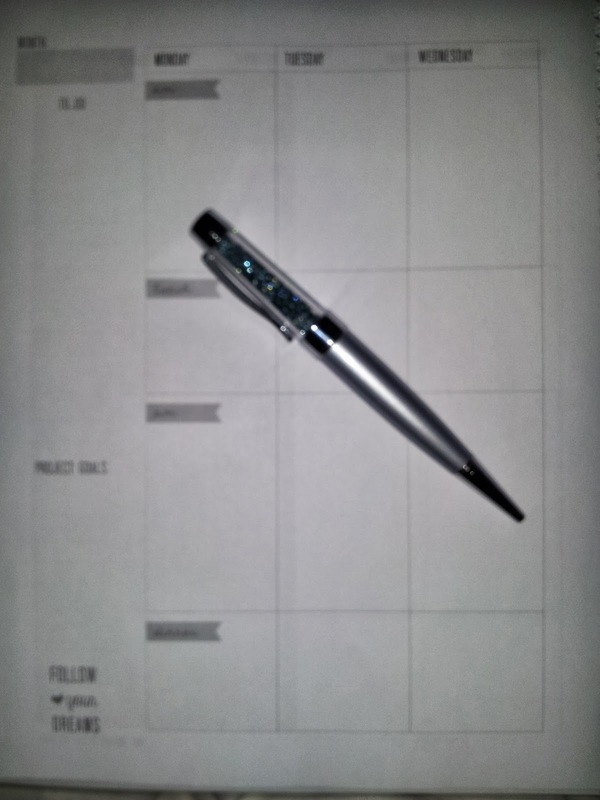 No matter what I'm doing I have to fill out whats going on for that day! 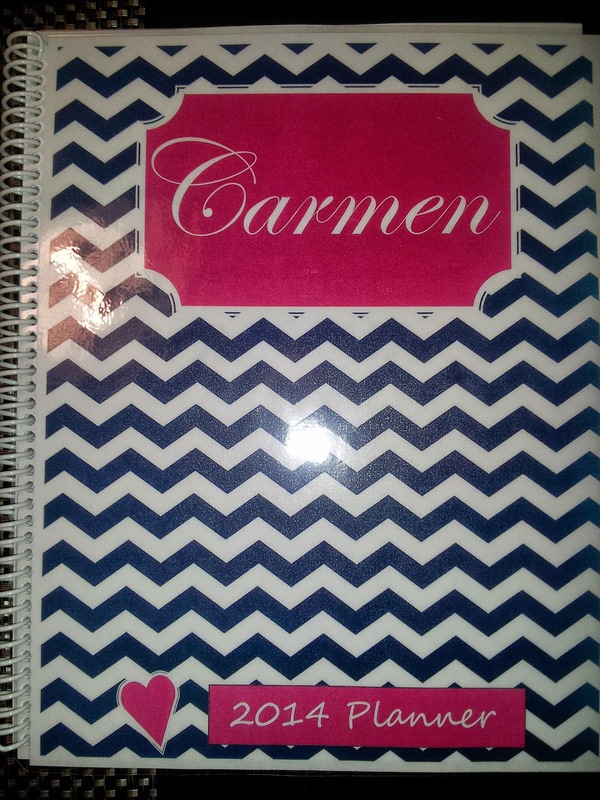 I usually buy school planners, because they have weekly planners. 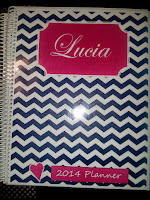 I came across Michelle Lea Designs, she provides a cute, girlie, free weekly planner. 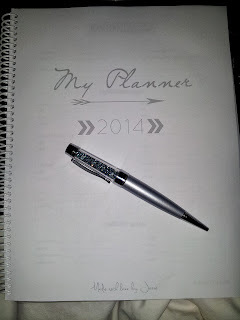 The set comes with so much more, but I had no use for the other parts of the planner. Remember to keep it simple, and cheap! 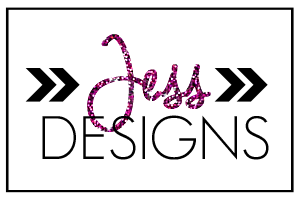 Michelle Lea Designs blog. 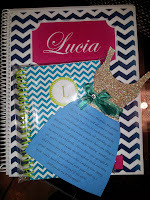 Michelle Lea Designs You can find all these documents she has brilliantly created on her blog link! 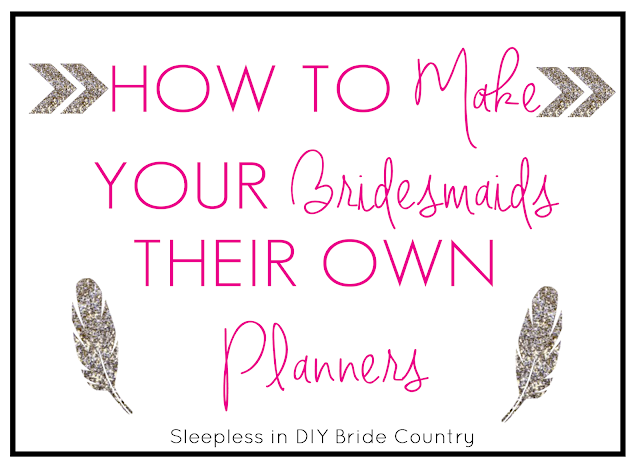 I encourage you all to check out her blog, because she doesn't stop at creating a weekly planner...she has so many other types of planners! Plus she is such a sweetheart!! So when you go to print these planner pages out, I recommend that you download the document, and print it out through wherever you open it in. My documents open in Adobe reader. When I tried printing straight from the dropbox the pages came out too light, and there were no lines. 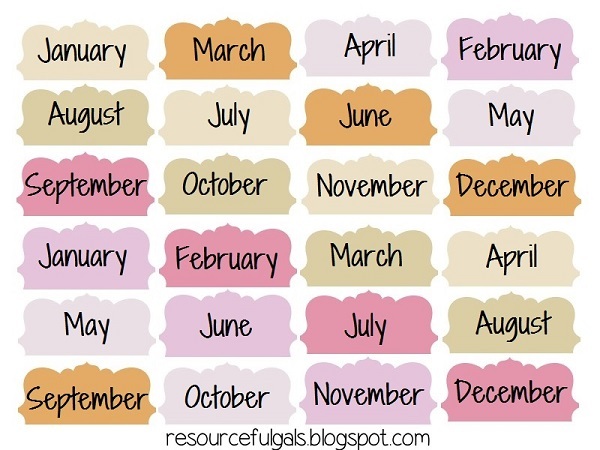 For my calendar view...You all know I have to have a calendar for each month, it's a must for all my planners. So I searched around and came across Emilyley.com. 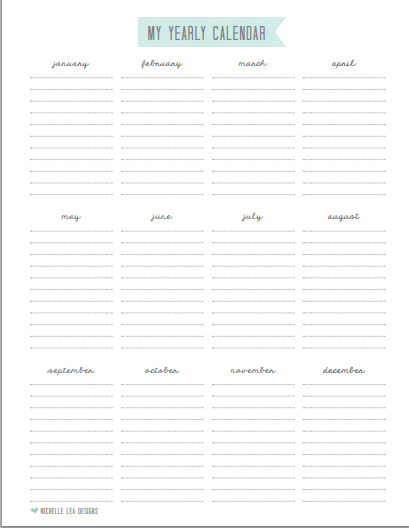 Emily has a page where you can find all kinds of free printables as well as her shop filled with planners. Her website it printawesome!! I found a great blog that offers printable tabs from The Resourceful Gals . 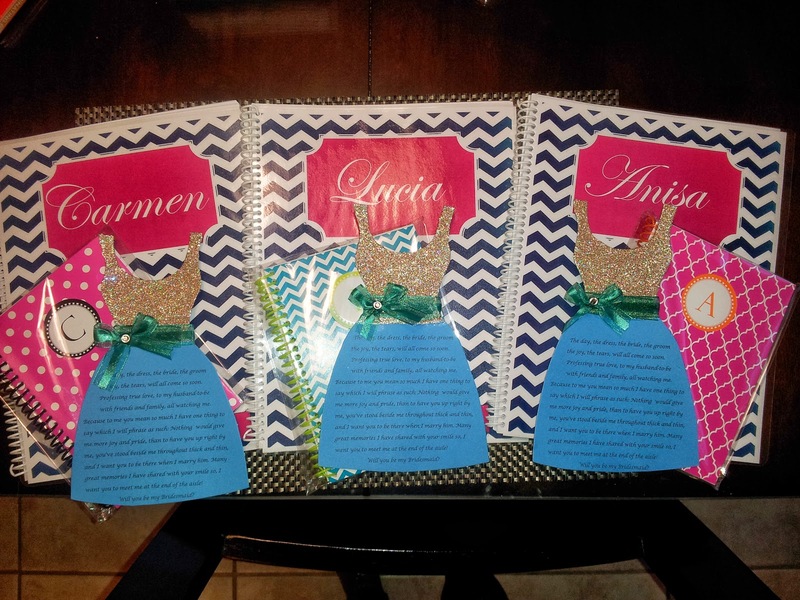 The Resourceful Gals offer two different sets of tabs, with different color combos. I fell in love with the immediately. Here's how mine came out! Th e Resourceful Gals recommend that you print them out as a photo 5x7. 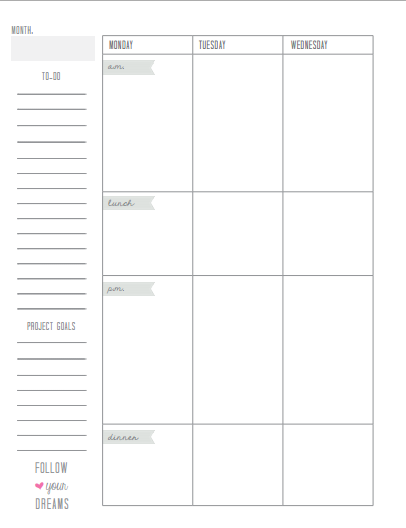 I have 3 ladies that I'm making this planner for, so I had to do some math, as well you if/when you attempt such a project. I'm actually not using these tabs, because it's more work than I need right now...lol Sorry guys! 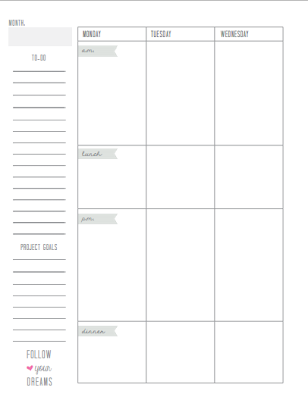 But their here if you want to use them for your personal planner :) I decided to develop my own front page design. I just used Photoshop because I wanted to make something cute and quick. At the bottom of the page, I added a touch of me "Made with love by: Jesse". If you want to download this page Click here. or click the picture. 1-Front Page x3= 3 pg. 1-Important contact sheet X 3 = 3 pgs. 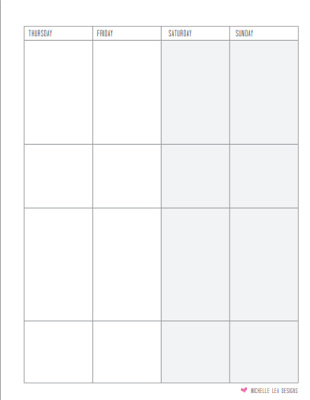 1-Yearly Calendar X 3=3 pgs. 5--Note pages X 3=15 pgs. 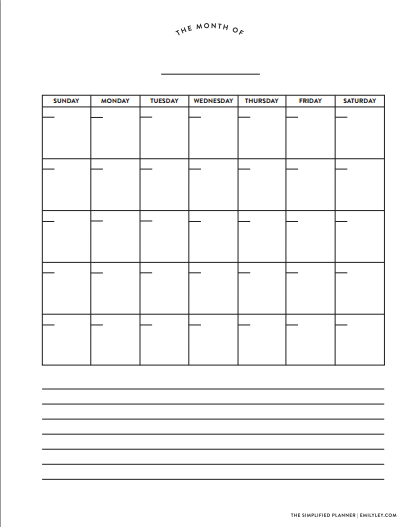 12-Monthly Calendar (12 months in a year) X 3= 36 pgs. 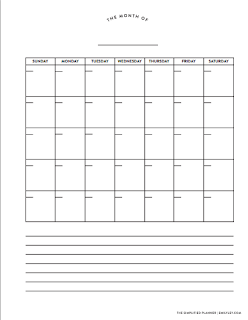 52-Weekly planner (52 weeks in a year) X 3= 156 pgs. 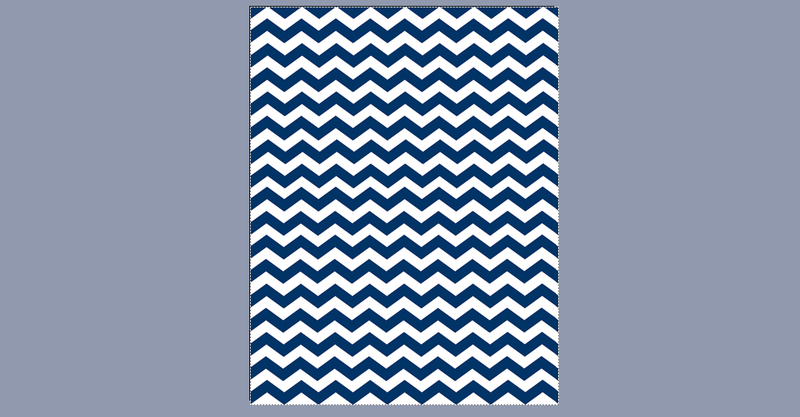 1-Custom Chevron Cover X 3= 3 pgs. 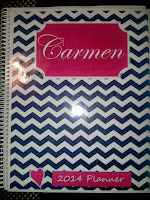 1-Back of planner X 3= 3 pgs. For each planner= 76 pages. So I know what your saying to yourself, right now...how crazy is Jess for printing out that many pages just to try and save money! Right?! 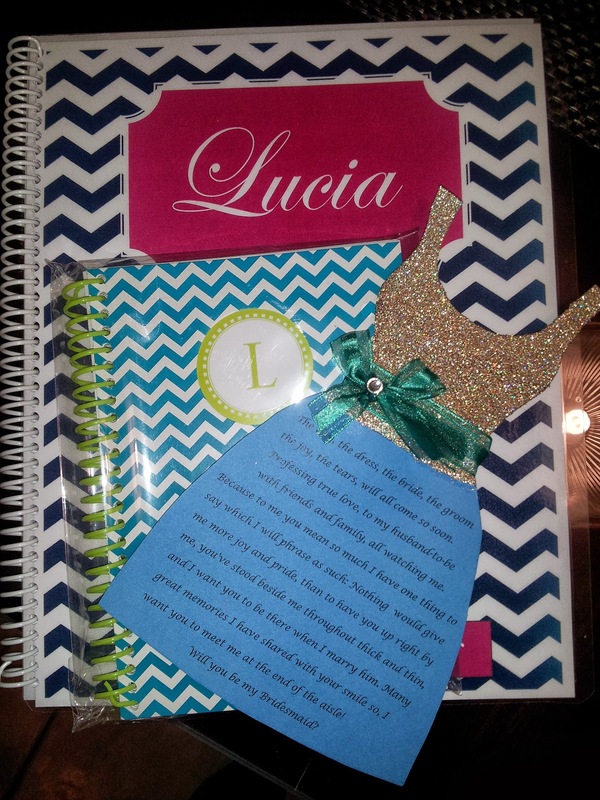 Well, I am actually saving money in the end, and making my girls something special. You see, I go to a University where we're allowed to print off 100 sheets each week for free (50 front and back). It's paid in my tuition and I felt perfectly obligated to go ahead and take my 100 printing sheets each week. Basically this project has taken me a few weeks to complete, because each week I printed as much as I could. 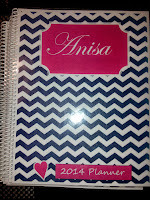 So, all the pages in my planner will be completely free, excluding my color pages. I wanted the cover, back, and tabs to have color. After everything was laminated, and put together, I took my bridesmaids planners to Office Depot! I have an Office Depot right outside my neighborhood, so this works for me. They spiral bound books there for you for cheap. I paid $2.99 for each planner to get bound. Plus the people behind the custom desk already know me, and they know I have plenty of projects so they always try their best to help me as much as they can :) They get the job done fast too. 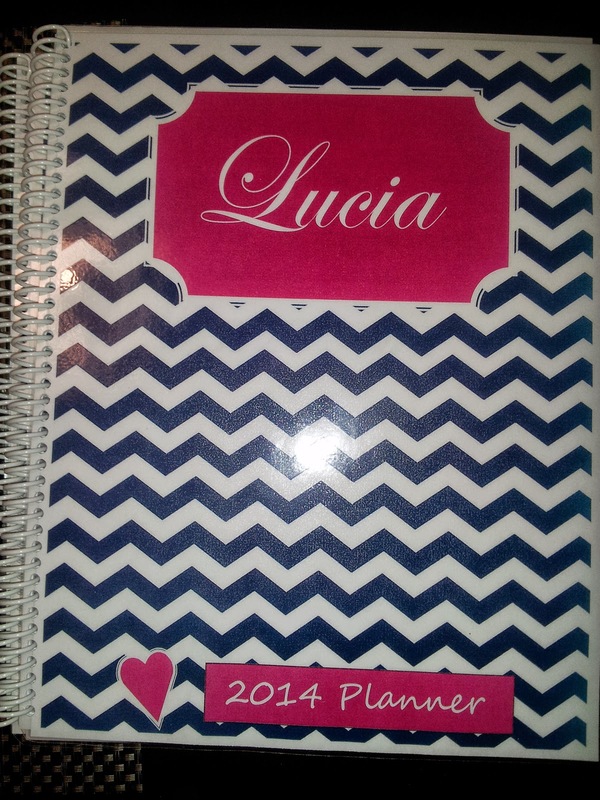 All in all, I've spent $12.60 for all 3 planners!!! If that isn't DIY Frugalness, I don't know what else is! I hope all my lovies, love this post, and attempt to make yourself your own planner. 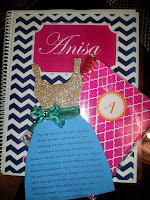 Or if your a bride (not yet a bride) I hope you make these for your bridesmaids. 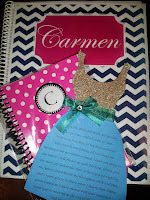 It's an amazing way for you to properly document all your important wedding info/dates for your ladies! 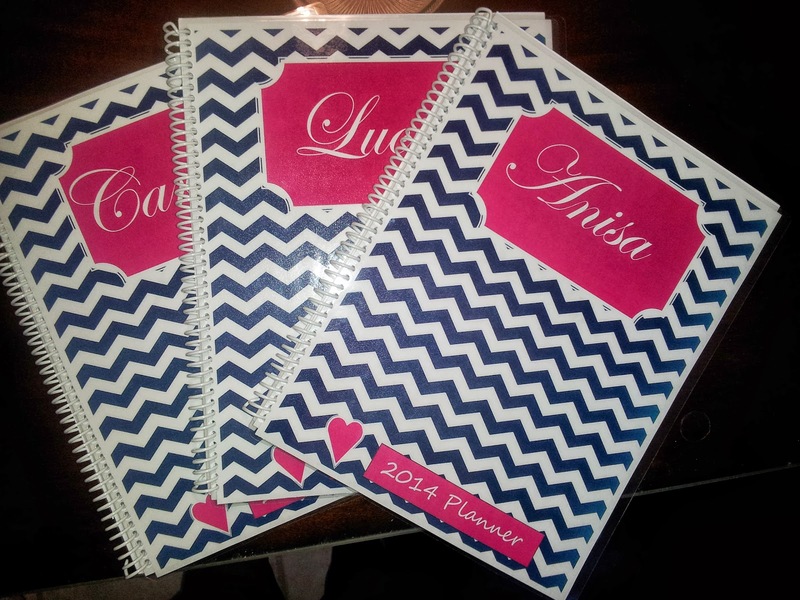 I'm telling you these planners look like I spent a pretty penny, and the best part is that it's almost free :) Back to my motto...Why pay for something you can get for free on line!! 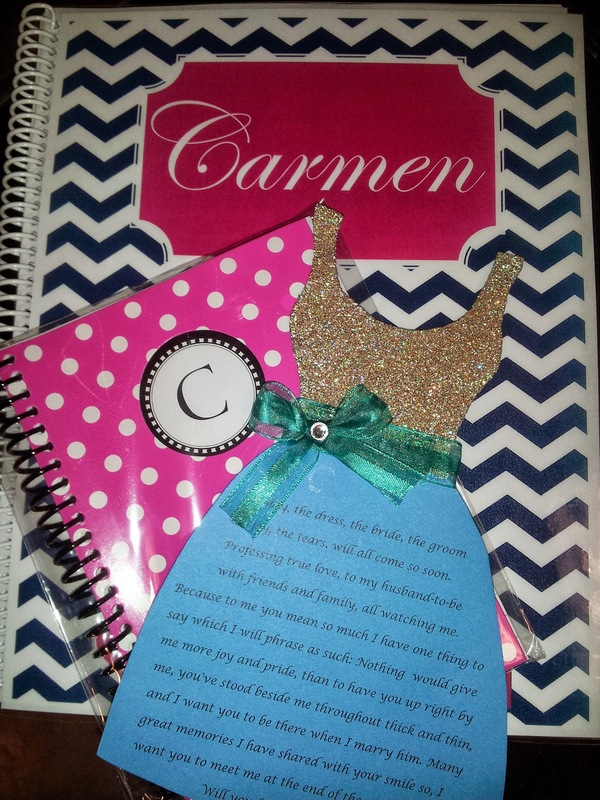 Enjoy the end result of my DIY project below, and please leave me some words....I love hearing from my readers!